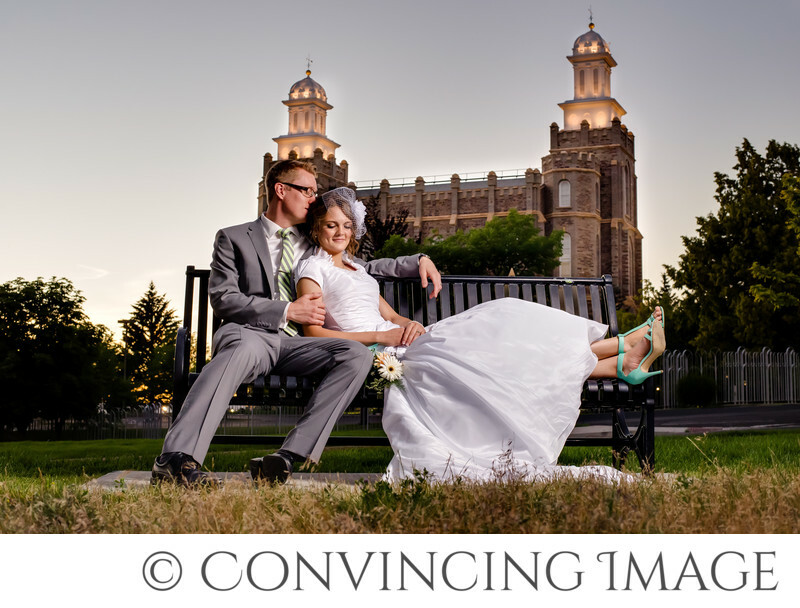 If you're getting married in Logan, Utah, how do you choose your wedding photographer? There are so many options! It seems that every day new wedding photographers start their business. As a wedding photographer in the Cache Valley area, I can honestly say, it's a great thing to do! But back to our discussion, how do YOU choose who your photographer should be? First of all, you need to find what you like. Photographers have different styles. Some are crisp and clean. Some are more vintage. The styles are endless. So the important thing is to decide which style fits you and find the photographers in the area that match that style. After you've found a handful of photographers, contact them and set up a time to meet with them. I would highly recommend meeting them in person. Meeting them via text or email will not let you know if they are a good fit for you. It's going to be one of the best days of your life and the photographer is a huge part of it, make sure your wedding photographer is someone you enjoy being around. As a last resort, do a phone or skype meeting. At least you'll know if you're able to talk with them and feel comfortable with them that way. Once you've met with them and found some personalities and styles that fit with yours, then find the photographer with the package that works for what you need. Perhaps you must have a beautiful, custom leather-bound album (I highly recommend that to all my couples! It will stand the test of time and you will treasure it.) Or maybe you just need coverage on your wedding day. Figure out what you need and see which photographer can fit that. Finally, remember that after the wedding day is over, the cake is gone, the dress is hung in a closet, what do you have left? You have your memories and your pictures. You want beautiful pictures to remember your day. Truly, they are a treasure!